Online poker rooms give you a hand history in a text form. 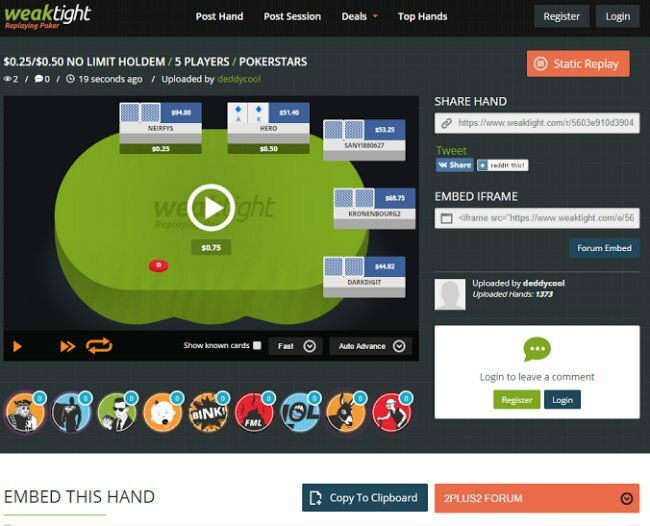 WeakTight.com converts that hand history into the format of any of the most common forums. The graphical form works well and you can also share your hand histories with friends using weaktight's links. Online poker rooms give you a hand history in a text form. WeakTight.com converts that hand history into the format of any of the most common forums. The graphical form works well and you can also share your hand histories with friends using WeakTight's links. Plus, it works with nearly every major online poker site.